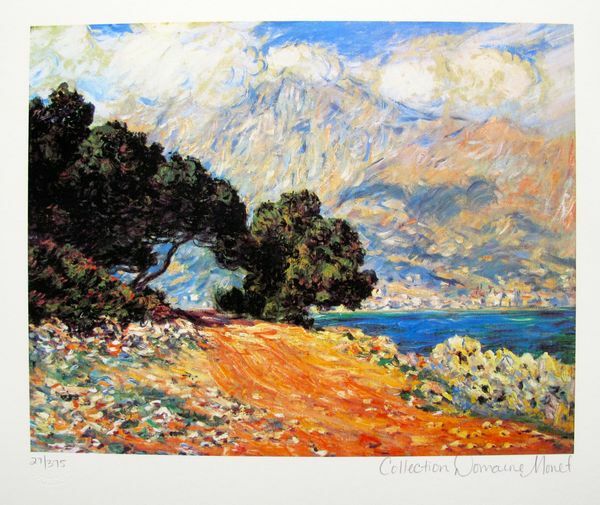 This is a CLAUDE MONET (ESTATE COLLECTION DOMAINE) giclee titled “CAP MARTIN”. 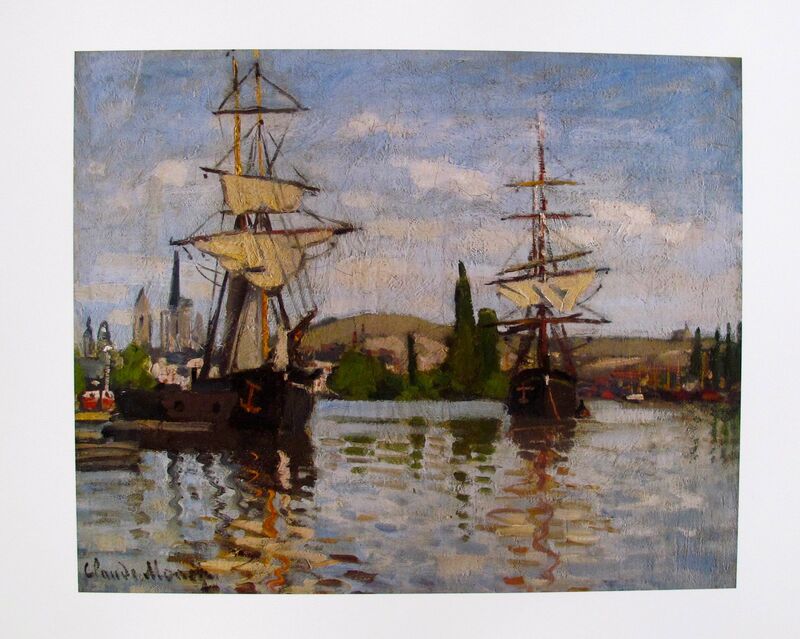 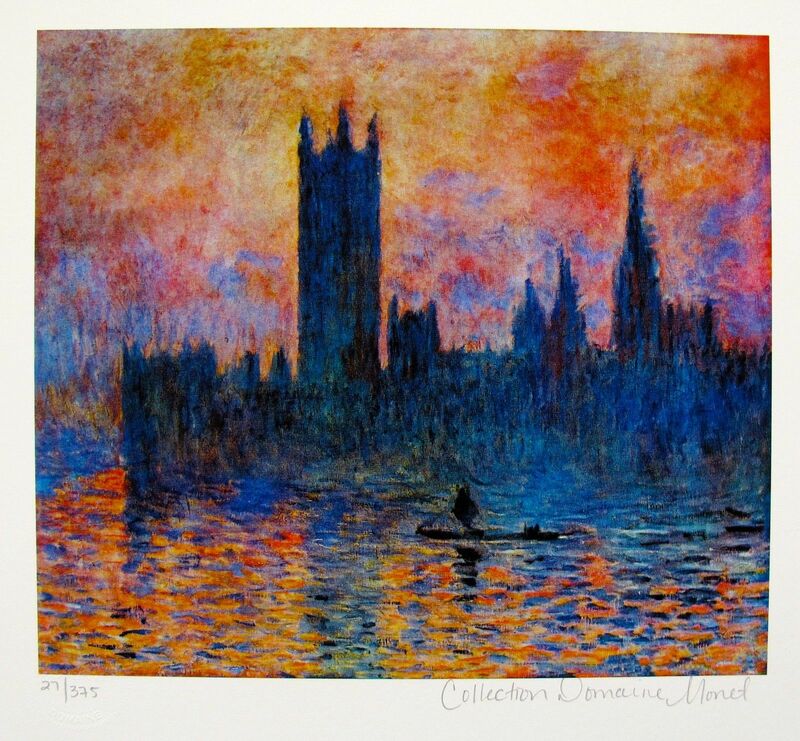 This is a CLAUDE MONET (ESTATE COLLECTION DOMAINE) giclee titled “HOUSES OF PARLIAMENT”. 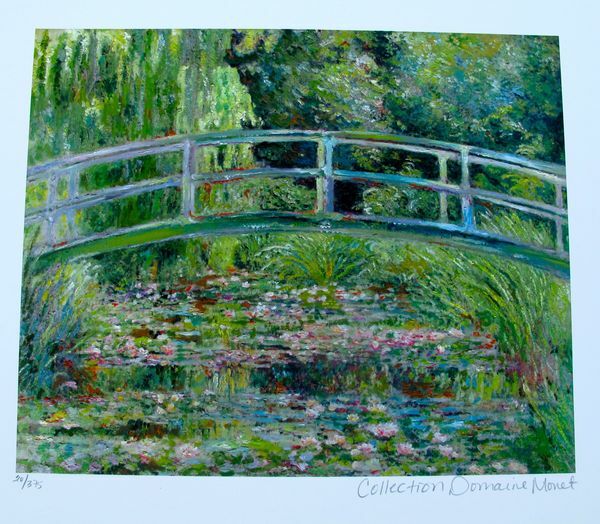 This is a CLAUDE MONET (ESTATE COLLECTION DOMAINE) giclee titled “JAPANESE BRIDGE”. 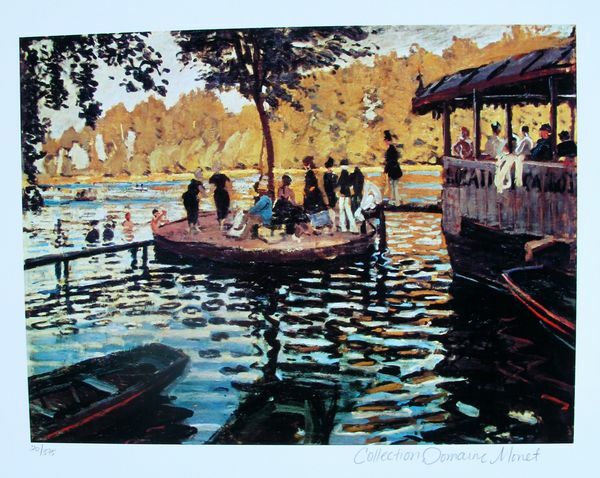 This is a CLAUDE MONET (ESTATE COLLECTION DOMAINE) giclee titled “LA GRENOUVILLERE”. 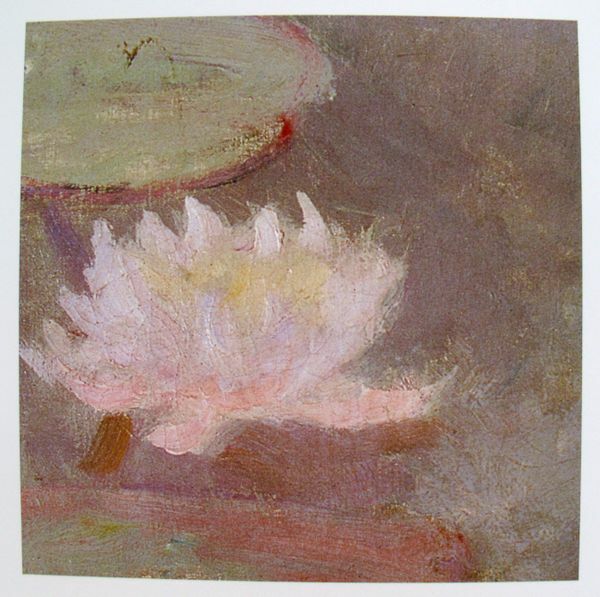 This is a Claude Monet offset lithograph titled “LE NINFEE ROSA” (Detail I). 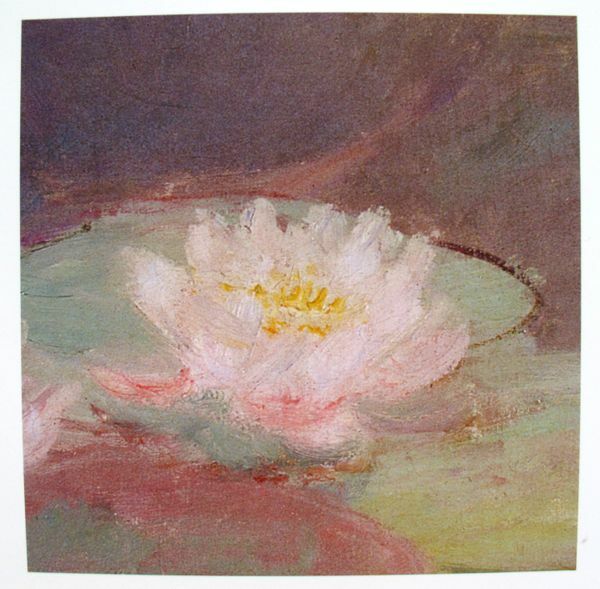 This is a Claude Monet offset lithograph titled “LE NINFEE ROSA” (Detail II). 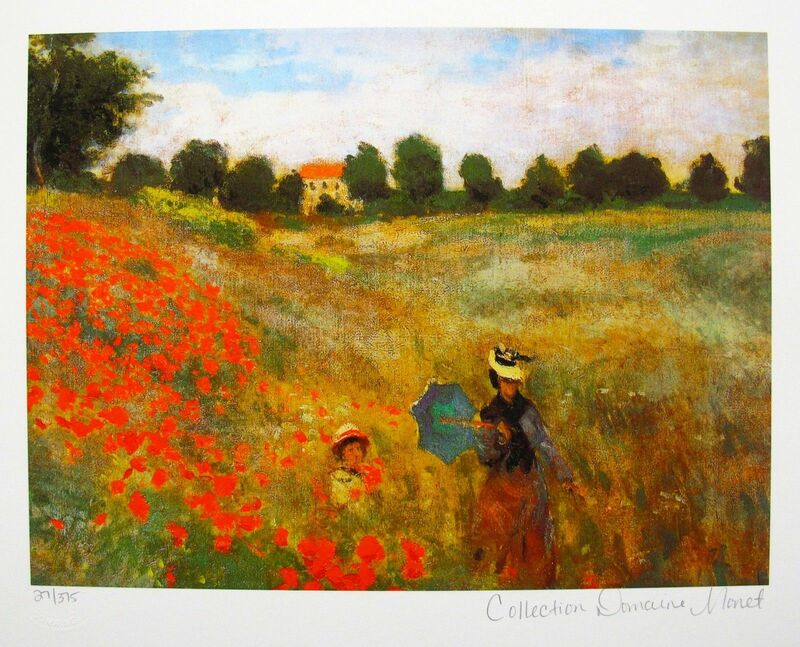 This is a Claude Monet offset lithograph titled “POPPIES”. 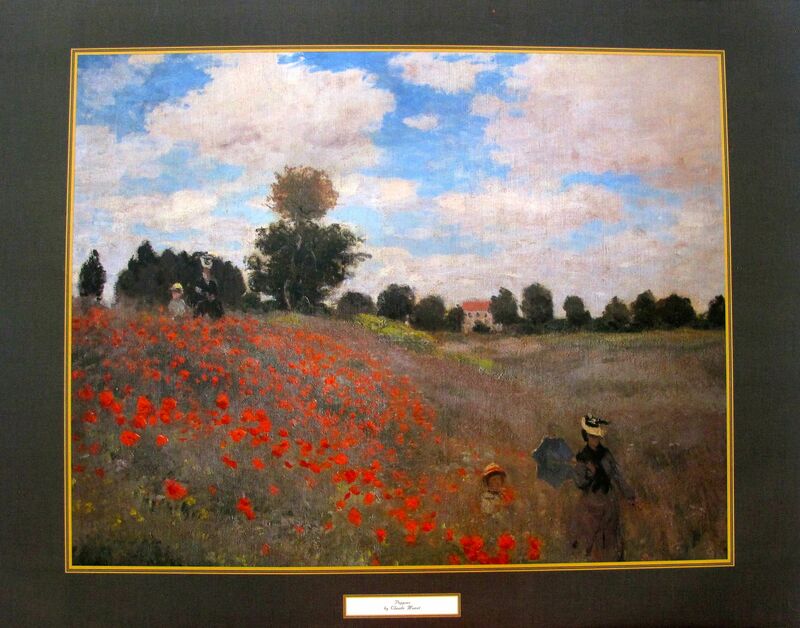 This is a CLAUDE MONET (ESTATE COLLECTION DOMAINE) giclee titled “POPPIES NEAR ARGENTEUIL”. 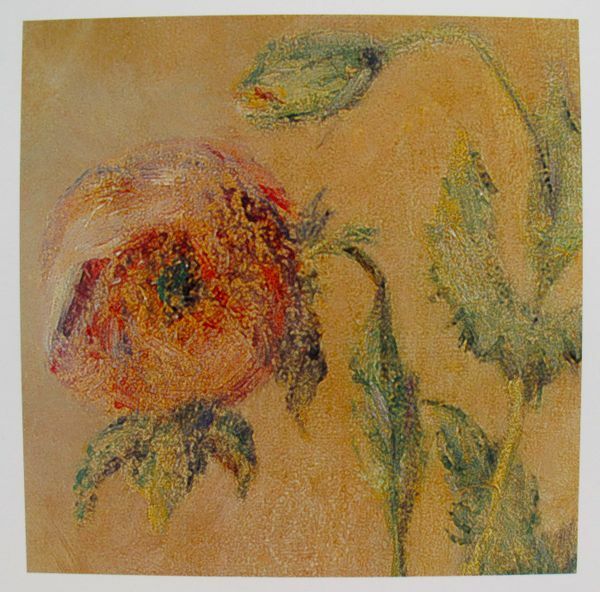 This is a Claude Monet offset lithograph titled “PURPLE POPPIES” (Detail II). 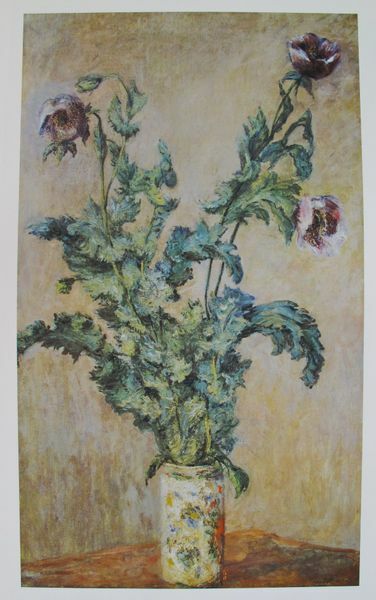 This is a Claude Monet offset lithograph titled “PURPLE POPPIES”.